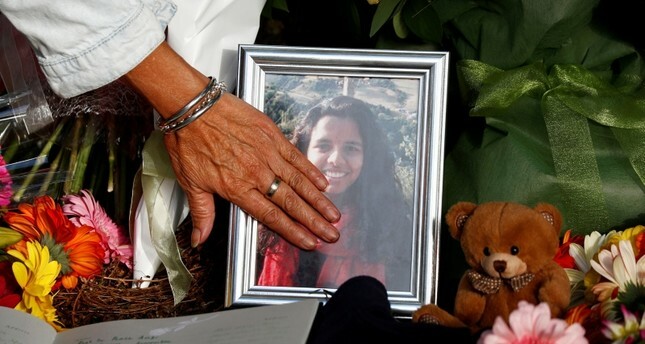 The bodies of six of the Christchurch terrorist attack victims have been released to their families after an anguished-filled delay, New Zealand police said Tuesday, but they warned only a fraction of those killed had been fully identified. Police said that all 50 autopsies had been concluded but only "12 victims have been identified to the satisfaction of the Coroner." "Six of those identified victims have been returned to their families," the police said. The delay has caused consternation among families of the dead, who would have liked to follow Islamic custom and bury their loved ones within 24 hours. Islamic tradition calls for bodies to be cleansed and buried as soon as possible. "There's nothing they are offering," the Afghan refugee said outside the family support center in Christchurch. "They are just saying they are doing their procedures, they are doing their process. But what process? Why do I not know what you are going through to identify the body... Why am I not contacted as an immediate family member?" he said. The police said they were "acutely aware of frustrations by families associated with the length of time required for the identification process following Friday's terror attack." "We are also looking at any way to improve our communications with the families and ensure they are kept fully informed about what is happening. We are doing all we can to undertake this work as quickly as possible and return the victims to their loved ones," the police said. New Zealand's Parliament gathered Tuesday for a special meeting for the first time since the Christchurch attack. The session was opened by imam Nizam ul Haq Thanvi, who recited verses from the Quran for the victims of last week's massacre of peaceful worshippers. Prime Minister Jacinda Ardern began her address with the Islamic greeting "assalamu aleikum" or "peace be upon you." Ardern declared she would do everything in her power to deny the accused mosque terrorist a platform for elevating his white supremacist views, after the man dismissed his lawyer and opted to represent himself at his trial in the killings of 50 people. Later, in a passionate speech to Parliament, she urged the public to follow her lead and to avoid giving the terrorist the fame he so obviously craves. The terrorist's desire for attention was made clear in a manifesto sent to Ardern's office and others before Friday's massacre and by his livestreamed footage of his attack on the Al Noor mosque. Ardern previously has said her Cabinet had agreed in principle on tightening gun restrictions in New Zealand and those reforms would be announced next week. She also had announced an inquiry into the intelligence and security services' failures to detect the risk from the attacker or his plans.